Dianwei Qian and Jianqiang. Yi: Hierarchical Sliding Mode Control for Under-actuated Cranes, Springer, ISBN978-3-662-48415-9, 2016. Jianqiang Yi, Lihua Duan, Yaping Dai, Fangyan Dong, and Benhui Chen: 第三届国际计算智能和工业应用研讨会论文集，电子工业出版社，ISBN978-7-121-07587-2, 2009. Dianwei Qian, Jianqiang Yi, Xiangjie Liu, Guotian Yang, and Miaoxin Wang: Robust Control by Sliding Mode for a Class of Uncertain Underactuated Systems with Saturation, Control and Intelligent Systems, Vol.38, No.2, pp.87-94(2010). Dianwei Qian, Xiangjie Liu, Jianqiang Yi and Chengdong Li: Neuro-hierarchical sliding mode control for a class of under-actuated systems, Int. J. Modelling, Identification and Control, Vol. 13, No. 4, pp.243-250(2011). Tiechao Wang and Jianqiang Yi: Unnormalized Interval Type-2 TSK Fuzzy Logic System Design Based on Convexity and Sample Data, Journal of Advanced Computational Intelligence and Intelligent Informatics, Vol.15, No.3, pp.345-350(2011). Tiechao Wang, Shaocheng Tong, Jianqiang Yi, and Hongyi Li: Adaptive Inverse Control of Cable-driven Parallel System Based on Type-2 Fuzzy Logic Systems, IEEE Transactions on Fuzzy Systems, Vol.23, No.5, pp.1803-1816 (2015). Kiyotoshi Matsuoka and Jianqiang Yi: Backpropagation based on the Logarithmic Error Function and Elimination of Local Minima, Proceedings of the International Joint Conference on Neural Networks (IJCNN’91), Singapore, Nov. 1991, pp.1117-1122. 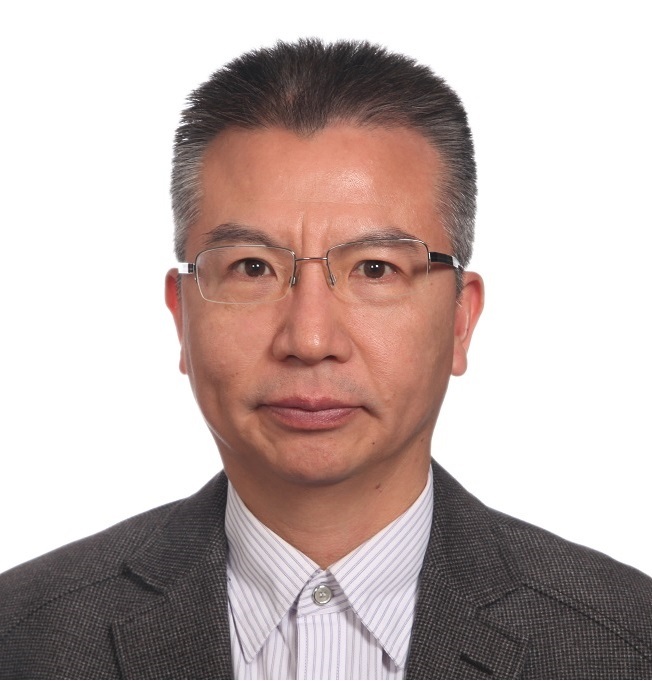 Naoyoshi Yubazaki, Jianqiang Yi, Masayuki Otani, and Kaoru Hirota: SIRMs Dynamically Connected Fuzzy Inference Model and Its Applications, Proceedings of the Seventh IFSA World Congress (IFSA’97), Prague, Czech, June 1997, Vol.3, pp.410-415. Naoyoshi Yubazaki, Jianqiang Yi, Masayuki Otani, Nobuichi Unemura, and Kaoru Hirota: Trajectory Tracking Control of Unconstrained Objects based on the SIRMs Dynamically Connected Fuzzy Inference Model, Proceedings of the Sixth IEEE International Conference on Fuzzy Systems (FUZZ-IEEE’97), Barcelona, Spain, July 1997, Vol.2, pp.609-614. Naoyoshi Yubazaki, Jianqiang Yi, and Kaoru Hirota: SIRMs Dynamically Connected Fuzzy Inference Model and PID Controller, Proceedings of the Seventh IEEE International Conference on Fuzzy Systems (FUZZ-IEEE’98), Anchorage, Alaska, USA, May 1998, pp.325-330. Jianqiang Yi, Naoyoshi Yubazaki, and Kaoru Hirota: SIRMs Dynamically Connected Fuzzy Inference Model Applied to Stabilization Control of Inverted Pendulum and Cart Systems, Proceedings of the 18th International Conference of the North American Fuzzy Information Processing Society (NAFIPS’99), New York, USA, June 1999, pp.771-775. Jianqiang Yi, Naoyoshi Yubazaki, and Kaoru Hirota: Upswing and Stabilization Control of Inverted Pendulum and Cart System by the SIRMs Dynamically Connected Fuzzy Inference Model, Proceedings of the Eighth IEEE International Conference on Fuzzy Systems (FUZZ-IEEE’99), Seoul, South Korea, Aug. 1999, Vol.1, pp.400-405. Jianqiang Yi, Naoyoshi Yubazaki, and Kaoru Hirota: Systematically Constructing Stabilization Fuzzy Controllers for Single and Double Pendulum Systems, Proceedings of the Ninth IEEE International Conference on Fuzzy Systems (FUZZ-IEEE 2000), San Antonio, Texas, USA, May 2000, Vol.1, pp.263-268. Jianqiang Yi, Naoyoshi Yubazaki, and Kaoru Hirota: Stabilization Fuzzy Control of Parallel-Type Double Inverted Pendulum System, Proceedings of the Ninth IEEE International Conference on Fuzzy Systems (FUZZ-IEEE 2000), San Antonio, Texas, USA, May 2000, Vol.2, pp.817-822. Jianqiang Yi, Naoyoshi Yubazaki, and Kaoru Hirota: Stabilization Control of Ball and Beam Systems, Proceedings of the Joint 9th IFSA World Congress and 20th NAFIPS International Conference (IFSA/NAFIPS 2001), Vancouver, Canada, July 2001, pp.2229-2234. Jianqiang Yi, Naoyoshi Yubazaki, and Kaoru Hirota: Stability Analysis of SIRMs Dynamically Connected Fuzzy Inference Model, Proceedings of the 10th IEEE International Conference on Fuzzy Systems (FUZZ-IEEE 2001), Melbourne, Australia, Dec. 2001, pp.143-146. Jianqiang Yi, Naoyoshi Yubazaki, and Kaoru Hirota: Backing up Control of Truck-Trailer System, Proceedings of the 10th IEEE International Conference on Fuzzy Systems (FUZZ-IEEE 2001), Melbourne, Australia, Dec. 2001, pp.489-492. Jianqiang Yi, Naoyoshi Yubazaki, and Kaoru Hirota: Anti-Swing Fuzzy Control of Overhead Traveling Crane, Proceedings of 2002 IEEE International Conference on Fuzzy Systems (FUZZ-IEEE 2002), Hawaii, USA, May 2002, pp.1298-1303. Diantong Liu, Jianqiang Yi, Dongbin Zhao, and Wei Wang: Swing-Free Transporting of Two-Dimensional Overhead Crane Using Sliding Mode Fuzzy Control, Proceedings of 2004 American Control Conference (ACC 2004), Boston, USA, June 2004, pp.1764-1769. Zhiguang Zhong, Jianqiang Yi, and Dongbin Zhao: Pose Estimation and Structure Recovery from Point Pairs, Proceedings of 2005 IEEE International Conference on Robotics and Automation (ICRA 2005), Barcelona, Spain, April 2005, pp.444-449. Xiaojing Liu, Jianqiang Yi, and Dongbin Zhao: Adaptive Inverse Disturbance Canceling Control System based on Least Square Support Vector Machines, Proceedings of 2005 American Control Conference (ACC 2005), Portland, Oregon, USA, June 2005, pp.2625-2629. Zuoshi Song, Jianqiang Yi, and Dongbin Zhao: Robust Motion Control for Nonholonomic Constrained Mechanical Systems: Sliding Mode Approach, Proceedings of 2005 American Control Conference (ACC 2005), Portland, Oregon, USA, June 2005, pp.2883-2888. Wei Wang, Jianqiang Yi, Dongbin Zhao, and Xiaojing Liu: Design of Cascade Fuzzy Sliding-Mode Controller, Proceedings of 2005 American Control Conference (ACC 2005), Portland, Oregon, USA, June 2005, pp.4649-4654. Yuhu Cheng, Jianqiang Yi, and Dongbin Zhao: A Proposal of Weighted Q-Learning for Continuous State and Action Spaces, Proceedings of the 16th IFAC World Congress (IFAC 2005), Prague, Czech, July 2005. Jianing Li, Jianqiang Yi, and Dongbin Zhao: Cooperation Learning for Behaviour-based Neural-Fuzzy Controller in Robot Navigation, Proceedings of the 16th IFAC World Congress (IFAC 2005), Prague, Czech, July 2005. Zuoshi Song, Dongbin Zhao, Jianqiang Yi and Xinchun Li: Tracking Control of Mobile Manipulator with Dynamical Uncertainties, Proceedings of IEEE/RSJ International Conference on Intelligent Robots and Systems (IROS 2005), Alberta, Canada, Aug. 2005, pp.2373-2378. Wei Wang, Jianqiang Yi, Dongbin Zhao, and Xiaojing Liu: Double Layer Sliding Mode Control for Second-Order Underactuated Mechanical Systems, Proceedings of IEEE/RSJ International Conference on Intelligent Robots and Systems (IROS 2005), Alberta, Canada, Aug. 2005, pp.3188-3193. Jianqiang Yi, Wei Wang, Dongbin Zhao, and Xiaojing Liu: Cascade Sliding-Mode Controller for Large-Scale Underactuated Systems, Proceedings of IEEE/RSJ International Conference on Intelligent Robots and Systems (IROS 2005), Alberta, Canada, Aug. 2005, pp.3194-3199. Xuyue Deng, Dongbin Zhao, Jianqiang Yi, and John T. Wen: Motion and Squeeze Force Control for Omnidirectional Wheeled Mobile Robots, Proceedings of 2006 American Control Conference (ACC 2006), Minnesota, USA, June 2006, pp.5608-5613. Jin Cheng, Jianqiang Yi, and Dongbin Zhao: A New Fuzzy Autopilot for Way-Point Tracking Control of Ships, Proceedings of 2006 IEEE International Conference on Fuzzy Systems (FUZZ-IEEE 2006), Vancouver, Canada, July 2006, pp.2468-2473. Dianwei Qian, Jianqiang Yi, Dongbin Zhao, and Yinxing Hao: Hierarchical Sliding Mode Control for Series Double Inverted Pendulum System, Proceedings of IEEE/RSJ International Conference on Intelligent Robots and Systems (IROS 2006), Beijing, China, Oct. 2006, pp.4977-4982. Dianwei Qian, Jianqiang Yi, and Dongbin Zhao: Robust Control Using Sliding Mode for a Class of Under-Actuated Systems with Mismatched Uncertainties, Proceedings of 2007 IEEE International Conference on Robotics and Automation (ICRA 2007), Roma, Italy, April 2007, pp.1449-1454. Jin Cheng, Jianqiang Yi, and Dongbin Zhao: Stabilization of an Underactuated Surface Vessel via Discontinuous Control, Proceedings of 2007 American Control Conference (2007 ACC), New York, USA, July 2007, pp.206-211. Dianwei Qian, Jianqiang Yi, and Dongbin Zhao: Hierarchical Sliding Mode Control to Swing up a Pendubot, Proceedings of 2007 American Control Conference (2007 ACC), New York, USA, July 2007, pp.5254-5259. Dong Xu, Dongbin Zhao, Jianqiang Yi, and Guosheng Yang: Stable PD and Internal Force Control of Omnidirectional Wheeled Mobile Manipulators, Proceedings of 2007 IEEE International Conference on Mechatronics and Automation (ICMA 2007), Harbin, China, August 2007, pp.1362-1367. Dawei Wang, Jianqiang Yi, Dongbin Zhao, and Guosheng Yang: Teleoperation System of the Internet-based Omnidirectional Mobile Robot with A Mounted Manipulator, Proceedings of 2007 IEEE International Conference on Mechatronics and Automation (ICMA 2007), Harbin, China, August 2007, pp.1799-1804. Xiaocheng Zhang, Jianqiang Yi, Dongbin Zhao, and Guosheng Yang: Modelling and Control of a Self-Levelling Crane, Proceedings of 2007 IEEE International Conference on Mechatronics and Automation (ICMA 2007), Harbin, China, August 2007, pp.2922-2927. Zhanquan Sun, Guangcheng Xi, Haixia Li, Jianqiang Yi, and Jie Wang: Apply Feature Selection to the Integration of TCM and Western Medicine, Proceedings of The 2007 International Joint Conference on Neural Networks (IJCNN2007), Orlando, Florida, USA, August 2007, pp.72-77. Dong Xu, Dongbin Zhao, Jianqiang Yi, and Xiangmin Tan: Robust Adaptive Tracking Control of Omnidirecitonal Wheeled Mobile Manipulators, Proceedings of the 2007 IEEE International Conference on Intelligent Robots and Systems (IROS 2007), San Diego, California, USA, October 2007, pp.3598-3603. Dongbin Zhao, Jianqiang Yi, and Xuyue Deng: Motion Regulation of Redundantly Actuated Omni-directional Wheeled Mobile Robots with Internal Force Control, Proceedings of the 2007 IEEE International Conference on Intelligent Robots and Systems (IROS 2007), San Diego, California, USA, October 2007, pp.3919-3924. Dianwei Qian, Jianqiang Yi, and Dongbin Zhao: Control of a Class of Under-Actuated Systems with Saturation Using Hierarchical Sliding Mode, Proceedings of the 2008 IEEE International Conference on Robotics and Automation (ICRA 2008), Pasadena, CA, USA, May 2008, pp.2429-2434. Dong Xu, Dongbin Zhao, Jianqiang Yi, Xiangmin Tan, and Zonghai Chen: Trajectory Tracking Control of Omnidirecitonal Wheeled Mobile Manipulators: Robust Neural Network based Sliding Mode Approach, Proceedings of the 2008 IEEE International Conference on Robotics and Automation (ICRA 2008), Pasadena, CA, USA, May 2008, pp.1653-1658. Xuerui Bai, Dongbin Zhao, Jianqiang Yi, and Jing Xu: Ramp Metering Based on On-line ADHDP(λ) Controller, Proceedings of 2008 International Joint Conference on Neural Networks (IJCNN2008), Hongkong, China, June 2008, pp.1848-1853. Tao Li, Dongbin Zhao, and Jianqiang Yi: Adaptive Dynamic Neurofuzzy for Traffic Signal Control, Proceedings of 2008 International Joint Conference on Neural Networks (IJCNN2008), Hongkong, China, June 2008, pp.1841-1847. Yinxing Hao, Jianqiang Yi, Dongbin Zhao, and Dianwei Qian: Robust Control Using Incremental Sliding Mode for Underactuated Systems with Mismatched Uncertainties, Proceedings of 2008 American Control Conference (ACC 2008), Seattle, Washington, USA, June 2008, pp.532-537. Tao Li, Dongbin Zhao, and Jianqiang Yi: Heuristic Dynamic Programming Strategy with Eligibility Traces, Proceedings of 2008 American Control Conference (ACC 2008), Seattle, Washington, USA, June 2008, pp.4535-4540. Xiangmin Tan, Dongbin Zhao, Jianqiang Yi, and Dong Xu: Adaptive Hybrid Control for Omnidirectional Mobile Manipulators using Neural-Network, Proceedings of 2008 American Control Conference (ACC 2008), Seattle, Washington, USA, June 2008, pp.5174-5179. Yanping Xiang, Jianqiang Yi, and Dongbin Zhao: A Nonlinear Rate Control Method for Congestion Control, Proceedings of 2008 American Control Conference (ACC 2008), Seattle, Washington, USA, June 2008, pp.4436-4441. Yinxing Hao, Jianqiang Yi, Dongbin Zhao, and Dianwei Qian: Design of a New Incremental Sliding Mode Controller, Proceedings of the 7th World Congress on Intelligent Control and Automation (WCICA'08), Chongqing, China, June 2008, pp.3407-3412. Yanping Xiang, Jianqiang Yi, and Dongbin Zhao: Quick Kelly Control: A Nonlinear Congestion Control Method for High Speed Networks, Proceedings of the 17th IFAC World Congress (IFAC 2008), Seoul, Korea, July 2008, pp.12988-12993. Tao Li, Dongbin Zhao, and Jianqiang Yi: Adaptive Dynamic Programming for Multi-intersections Traffic Signal Intelligent Control, Proceedings of the 11th International IEEE Conference on Intelligent Transportation Systems (ITSC2008), Beijing, China, October 2008, pp.286-291. Xuerui Bai, Dongbin Zhao, Jianqiang Yi, and Jing Xu: Coordinated Control of Multiple Ramp Metering Based on DHP (λ) Controller, Proceedings of the 11th International IEEE Conference on Intelligent Transportation Systems (ITSC2008), Beijing, China, October 2008, pp.351-356. Yi Yu, Jianqiang Yi, Chengdong Li, Dongbin Zhao, and Jianhong Zhang: Control of a Rope-driven Self-leveling Device for Leveling Adjustment, Proceedings of 2009 American Control Conference (ACC2009), Missouri, USA, June 2009, pp.5115-5120. Xuerui Bai, Dongbin Zhao, and Jianqiang Yi: Coordinated Multiple Ramps Metering based on Neuro-fuzzy Adapptive Dynamic Programming, Proceedings of 2009 International Joint Conference on Neural Networks (IJCNN2009), Atlanta, USA, June 2009, pp.241-248. Zirui Yu, Guoliang Fan, and Jianqiang Yi: Indirect Adaptive Flight Control based on Nonlinear Inversion, Proceedings of IEEE International Conference on Mechatronics and Automation 2009 (ICMA 2009), Changchun, Jilin, China August 2009, pp.3787-3792. Chengdong Li, Jianqiang Yi and Dongbin Zhao: Control of the TORA System Using SIRMs based Type-2 Fuzzy Logic, Proceedings of 2009 IEEE International Conference on Fuzzy Systems (FUZZ-IEEE 2009), Jeju Island, Korea, August 2009, pp.694-699. Chengdong Li, Jianqiang Yi and Dongbin Zhao: Analysis and Design of Monotonic Type-2 Fuzzy Inference Systems, Proceedings of 2009 IEEE International Conference on Fuzzy Systems (FUZZ-IEEE 2009), Jeju Island, Korea, August 2009, pp.1193-1198. Yi Yu, Jianqiang Yi, Chengdong Li, Dongbin Zhao, and Jianhong Zhang: Fuzzy Logic Based Adjustment Control of a Cable-driven Auto-leveling Parallel Robot, Proceedings of 2009 IEEE/RSJ International Conference on Intelligent Robots and Systems (IROS2009), St. Louis, Missouri, USA, October 2009, pp.2102-2107. Huidong Wang, Jianqiang Yi, and Guoliang Fan: Flight Control System Design with Hierarchy-Structured Dynamic Inversion and Dynamic Control Allocation, Proceedings of 2009 IEEE International Conference on Systems, Man, and Cybernetics (SMC2009), San Antonio, Texas, USA, October 2009, pp.5312-5317. Hua Xiong, Fengshui Jing, Jianqiang Yi, and Guoliang Fan: Automatic Takeoff of Unmanned Aerial Vehicle based on Active Disturbance Rejection Control, Proceedings of 2009 IEEE International Conference on Robotics and Biomimetics (ROBIO 2009), Guilin, Guangxi, China, December 2009, pp.2474-2479. Jianhong Zhang, Jianqiang Yi, and Yi Yu: Intelligent Control of a Four-rope-driven Level-adjustment Device with Constrained Outputs, Proceedings of 2009 IEEE International Conference on Robotics and Biomimetics (ROBIO 2009), Guilin, Guangxi, China, December 2009, pp.1860-1865. Yujie Dai, Dongbin Zhao, and Jianqiang Yi: A Comparative Study of Urban Traffic Signal Control with Reinforcement Learning and Adaptive Dynamic Programming, Proceedings of 2010 International Joint Conference on Neural Networks (IJCNN2010), Barcelona, Spain, July 2010, pp.70-76. Chengdong Li, Jianqiang Yi, and Tiechao Wang: Stability Analysis of SIRMs Based Type-2 Fuzzy Logic Control Systems, Proceedings of 2010 IEEE International Conference on Fuzzy Systems (FUZZ-IEEE 2010), Barcelona, Spain, July 2010, pp.2913-2918. Tiechao Wang, Jianqiang Yi, and Chengdong Li: The Monotonicity and Convexity of Unnormalized Interval Type-2 TSK Fuzzy Logic Systems, Proceedings of 2010 IEEE International Conference on Fuzzy Systems (FUZZ-IEEE 2010), Barcelona, Spain, July 2010, pp.3056-3061. Hua Xiong, Jian-qiang Yi, Guo-liang Fan, and Feng-shui Jing: Anti-Crosswind Autolanding of UAVs Based on Active Disturbance Rejection Control, Proceedings of the AIAA Guidance, Navigation, and Control /AIAA Modeling and Simulation Technologies/AIAA Atmospheric Flight Mechanics/AIAA/AAS Astrodynamics Specialist /AIAA Atmospheric and Space Environments Conference (AIAA GNC/AFM/MST/ASC/ASE 2010), Toronto, Ontario, Canada, August 2010, AIAA 2010-7734. Dianwei Qian and Jianqiang Yi: Fuzzy Aggregated Hierarchical Sliding Mode Control for Underactuated Systems, Proceedings of 2010 IEEE International Conference on Mechatronics and Automation (ICMA 2010), Xi'an,China, August 4-7, 2010, pp.196-201. Chengdong Li, Guiqing Zhang, Jianqiang Yi and Tiechao Wang,: On the Properties of SIRMs Connected Type-1 and Type-2 Fuzzy Inference Systems, Proceedings of 2011 IEEE International Conference on Fuzzy Systems (FUZZ-IEEE 2011), Taipei, Taiwan, June 27-30, 2011, pp.1982-1988. Tiechao Wang and Jianqiang Yi: Design of Interval Type-2 Fuzzy Logic Systems Using Prior Knowledge via Optimization Algorithms, Proceedings of 2011 IEEE International Conference on Fuzzy Systems (FUZZ-IEEE 2011), Taipei, Taiwan, June 27-30, 2011, pp.1681-1688. Tiechao Wang, Jianqiang Yi, and Chengdong Li: Multi-source Knowledge Based Unnormalized Interval Type-2 Fuzzy Logic Systems Design, Proceedings of 2011 IEEE International Conference on Fuzzy Systems (FUZZ-IEEE 2011), Taipei, Taiwan, June 27-30, 2011, pp.1974-1981. Dianwei Qian, Jianqiang Yi, and Xiangjie Liu: Design of Reduced Order Sliding Mode Governor for Hydro-turbines, Proceedings of 2011 American Control Conference (ACC2011), San Francisco, California, USA, June 29 - July 1, 2011, pp.5073-5078. Ruyi Yuan, Jianqiang Yi, Wensheng Yu, and Guoliang Fan: Adaptive Controller Design for Uncertain Nonlinear Systems with Input Magnitude and Rate Limitations, Proceedings of 2011 American Control Conference (ACC2011), San Francisco, California, USA, June 29 - July 1, 2011, pp.3536-3541. Jianhong Zhang, Jianqiang Yi, Xiangmin Tan, and Yi Yu: Fuzzy Control of a Four-rope-driven Level-adjustment Robot Considering all Constrained Situation, Proceedings of 2011 American Control Conference (ACC2011), San Francisco, California, USA, June 29 - July 1, 2011, pp.557-562. Zhiqiang Pu, Xiangmin Tan, Jianqiang Yi, and Guoliang Fan: Advanced Inversion Control for a Hypersonic Vehicle Based on PSO and Arranged Transient Process, Proceedings of the 2011 IEEE International Conference on Mechatronics and Automation (ICMA 2011), Beijing, China, August 7-10, 2011, pp.359-364. Yinggu Zhu, Guoliang Fan, and Jianqiang Yi: Modeling Longitudinal Aerodynamic and Hydrodynamic Effects of a Flying Boat in Calm Water, Proceedings of the 2011 IEEE International Conference on Mechatronics and Automation (ICMA 2011), Beijing, China, August 7-10, 2011, pp.2039-2044. Dianwei Qian, Jianqiang Yi, and Dongbin Zhao: Control of Overhead Crane Systems by Combining Sliding Mode with Fuzzy Regulator, Proceedings of the 18th IFAC World Congress (IFAC 2011), Milano, Italy, August 28-September 2, 2011, pp.9320-9325. Di Lu, Guoliang Fan, and Jianqiang Yi: H2 Performance Limitation of a Class of Nonlinear Non-minimum Phase Systems, Proceedings of the 10th World Congress on Intelligent Control and Automation (WCICA 2012), Beijing, China, July 6-8, 2012, pp.1317-1322. Zhiqiang Pu, Xiangmin Tan, Guoliang Fan, and Jianqiang Yi: Design of Entry Trajectory Tracking Law for a Hypersonic Vehicle via Inversion Control, Proceedings of the 10th World Congress on Intelligent Control and Automation (WCICA 2012), Beijing, China, July 6-8, 2012, pp.1092-1097. Yinggu Zhu, Guoliang Fan, and Jianqiang Yi: Modeling for Flying Boats in Regular Wave, Proceedings of the 10th World Congress on Intelligent Control and Automation (WCICA 2012), Beijing, China, July 6-8, 2012, pp.3019-3024. Yinggu Zhu, Guoliang Fan, and Jianqiang Yi: Controller Design for Flying Boats Taking off from Water with Regular Waves, Proceedings of the 2012 IEEE International Conference on Mechatronics and Automation (ICMA 2012), Chengdu, China, August 5-8, 2012, pp.480-485. Dianwei Qian, Xiangjie Liu, and Jianqiang Yi: Adaptive Control Based on Hierarchical Sliding Mode for Under-Actuated Systems, Proceedings of the 2012 IEEE International Conference on Mechatronics and Automation (ICMA 2012), Chengdu, China, August 5-8, 2012, pp.1050-1055. Zhiqiang Pu, Xiangmin Tan, Guoliang Fan, and Jianqiang Yi: Robust Trajectory Linearization Control of a Flexible Hypersonic Vehicle in the presence of Uncertainties, Proceedings of the 2013 IEEE International Conference on Mechatronics and Automation (ICMA 2013), Takamatsu, Kagawa, Japan, August 4-7, 2013, pp.365-370. Dianwei Qian, Shiwen Tong, Jianqiang Yi, and Mingcong Deng: Design of Sliding-mode Controller via Model Reduction for Automatic Generation Control of Micro Hydropower Plants: Isolated-mode Case, Proceedings of the 52nd IEEE Conference on Decision and Control (CDC 2013), Florence, Italy, December 10-13, 2013, pp.6118-6123. Huan Du, Guoliang Fan, and Jianqiang Yi: Autonomous Takeoff for Unmanned Seaplanes via Fuzzy Identification and Generalized Predictive Control, Proceedings of the IEEE International Conference on Robotics and Biomimetics (ROBIO 2013), Shenzhen, China, December 12-14, 2013, pp.2094-2099. Ruyi Yuan, Yafei Chang, Guoliang Fan, and Jianqiang Yi: Stability Robustness of Nonlinear Dynamic Inversion based controller, Proceedings of the IEEE International Conference on Robotics and Biomimetics (ROBIO 2013), Shenzhen, China, December 12-14, 2013, pp.328-333. .
 Yafei Chang, Ruyi Yuan, Xiangmin Tan, and Jianqiang Yi: Robust Control of Missiles with Reaction Jets Using Adaptive Sliding Mode and Control Allocation, Proceedings of the 11th World Congress on Intelligent Control and Automation (WCICA 2014), Shenyang, China, June 27-30, 2014, pp.4476-4481. Chengdong Li, Jianqiang Yi, Guiqing Zhang, and Ming Wang: Construction of Slope-Consistent Trapezoidal Interval Type-2 Fuzzy Sets for Simplifying the Perceptual Reasoning Method, Proceedings of the 2014 IEEE International Conference on Fuzzy Systems (FUZZ-IEEE 2014), Beijing, China, July 6-11, 2014, pp.1261-1267. Fang Yang, Jianqiang Yi, Xiangmin Tan, and Ruyi Yuan: Robust Adaptive Type-2 Fuzzy Logic Controller Design for a Flexible Air-breathing Hypersonic Vehicle, Proceedings of the 2014 IEEE International Conference on Fuzzy Systems (FUZZ-IEEE 2014), Beijing, China, July 6-11, 2014, pp.106-112. Junlong Gao, Ruyi Yuan, and Jianqiang Yi: Adaptive Fuzzy High-order Sliding Mode Control for Flexible Air-breathing Hypersonic Vehicle, Proceedings of the 2014 IEEE International Conference on Mechatronics and Automation (ICMA 2014), Tianjin, China, August 3-6, 2014, pp.1515-1520. Yafei Chang, Ruyi Yuan, Guoliang Fan, and Jianqiang Yi: A Blended Autopilot for Dual Control Missile Using Generalized Predictive and Adaptive Terminal Sliding Model Control, Proceedings of the 19th World Congress of the International Federation of Automatic Control (IFAC 2014), Cape Town, South Africa, August 24-29, 2014, pp.2515-2520. Zhen Liu, Xiangmin Tan, Ruyi Yuan, Guoliang Fan, and Jianqiang Yi: Non-certainty equivalence adaptive tracking control for hypersonic vehicles, Proceedings of the 19th World Congress of the International Federation of Automatic Control (IFAC 2014), Cape Town, South Africa, August 24-29, 2014, pp.882-887. Huan Du, Guoliang Fan, Jianqiang Yi, Jianhong Zhang, and Jie Zhang: Disturbance Compensated Adaptive Backstepping Control for an Unmanned Seaplane, Proceedings of the IEEE International Conference on Robotics and Biomimetics (ROBIO 2014), Bali, Indonesia, December 5-10, 2014, pp.1725-1730. Xiaoqi Li, Wei Wang, Jianqiang Yi, and Hongjian Zhang: Dynamics of a Quadruped Robot during Locomotion, Proceedings of the IEEE International Conference on Robotics and Biomimetics (ROBIO 2014), Bali, Indonesia, December 5-10, 2014, pp.785-790. Junlong Gao, Ruyi Yuan, Jianqiang Yi, and Chengdong Li: Adaptive Interval Type-2 Fuzzy Sliding Mode Controller Design for Flexible Air-breathing Hypersonic Vehicles, Proceedings of the 2015 IEEE International Conference on Fuzzy Systems (FUZZ-IEEE 2015), Istanbul, Turkey, August 2-5, 2015. Chao Han, Zhen Liu, Xiangmin Tan, and Jianqiang Yi: Adaptive Immersion and Invariance Sliding Mode Control for Hypersonic Vehicles with parametric uncertainty, Proceedings of the 2015 IEEE Conference on Robotics and Biomimetics (ROBIO 2015), Zhuhai, China, December 6-9, 2015, pp.1536-1541. Ruyi Yuan, Jianqiang Yi, Guoliang Fan, and Wei Zu: Finite time stability and stabilization of impulsive dynamical control systems, Proceedings of the 2015 IEEE Conference on Robotics and Biomimetics (ROBIO 2015), Zhuhai, China, December 6-9, 2015, pp.1804-1809. 刘殿通，易建强，谭民：一类非线性系统的滑模模糊动态加权控制，系统仿真学报，Vol.15, No.5, p.721-723, 734, 2003. 宋佐时，易建强，赵冬斌：移动机械手控制研究进展，机器人, Vol.25, No.5, p.465-469+480, 2003. 李佳宁，易建强，赵冬斌，西广成：移动机械手体系结构研究进展，机器人, Vol.25, No.7, p.756-760, 2003. Yiping Hong, Jianqiang Yi, and Dongbin Zhao: Robust Segmentation Method for Doorplate Recognition System, 自动化学报，Vol.31, No.3, p.359-364, 2005. Zhiguang Zhong, Jianqiang Yi, and Dongbin Zhao: A Robust Two Feature Points Based Depth Estimation Method, 自动化学报，Vol.31, No.5, p.693-698, 2005. Diantong Liu, Weiping Guo, and Jianqiang Yi: Dynamics and Stable Control for a Class of Underactuated Mechanical Systems, 自动化学报，Vol.32, No.3, p.422-427, 2006. 王雪松，程玉虎，易建强，王炜强：基于Elman网络的非线性系统增强式学习控制. 中国矿业大学学报, Vol.35, No.5, p.653-657, 2006. 孙占全，西广成，易建强，李海霞：中医辨证的智能系统模型，系统仿真学报，Vol.19, No.10, p.2318-2320+ 2391, 2007. 黄海明，刘金刚，易建强：个性化关节运动参数有效性判别策略研究，系统仿真学报，Vol.20, 增刊, p. 427-431, 2008. 李成栋，易建强，余意，赵冬斌：Inverse Control of Cable-Driven Parallel Mechanism Using Type-2 Fuzzy Neural Network，自动化学报，Vol.36, No.3, p.459-464, 2010. Xiaoqi Li, Wei Wang, Jianqiang Yi: Stable Transition of Quadruped Rhythmic Motion Using the Tracking Differentiator, Journal of Harbin Institute of Technology [英文版], Vol.22, No.5, p.9-16, 2015.